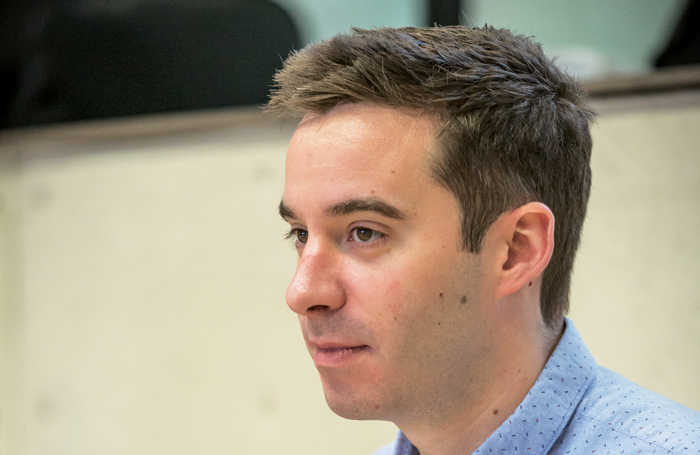 Playwright James Graham has called on theatres and arts organisations to adopt collective writing models for new work, in a bid to get the greatest amount of emerging voices heard on stage. Graham was speaking as he unveiled a team of eight writers who will work with him on a new project called Sketching , which will look at 24 hours in the life of London. Each writer will create a story that will be weaved together to create one unified production, overseen by Graham. The author said the the collective approach to writing meant a range of diverse talents would be given the opportunity to have their voices heard on stage. “I am incomparably excited to find a new way of working collectively with different voices,” he said. Graham added there are many “underrepresented” voices on stage and said the collective model of writing could address this. He said a similar writing system is used on television, but added he had not seen it used in theatre. Without action, he warned, a whole range of voices would be lost to theatre. “The brackets through which you can successfully emerge in this industry are getting narrower and narrower. The conversation tends to focus on actors, as that offers the most visual disparity,’ he said. But, he added, everything “starts with writers” and he said it was “harder to spot” a lack of diversity in class within writing talent, as opposed to race and gender. “And, particularly regarding class, it’s only going to get worse, as state education provision for drama is shrinking rapidly. We should be embarrassed as an industry as to how slowly we have been to react,” he told The Stage. He said the issue needed “intervention” and, if the model for Sketching worked, he would be calling on other theatres and creatives to adopt it. “I would encourage other writers, directors and theatres to use it as a way of practically finding new talent, and giving them opportunities. Not just lip service, but actual stage time,” he said. The writers who have been selected to create stories for Sketching include Aaron Douglas, Chloe Ewart, Alan Gordon, Adam Hughes, Ella Langley, Himanshu Ojha, Sumerah Srivastav and Naomi Westerman. Sketching will run at Wilton’s Music Hall from September 26 to October 28.